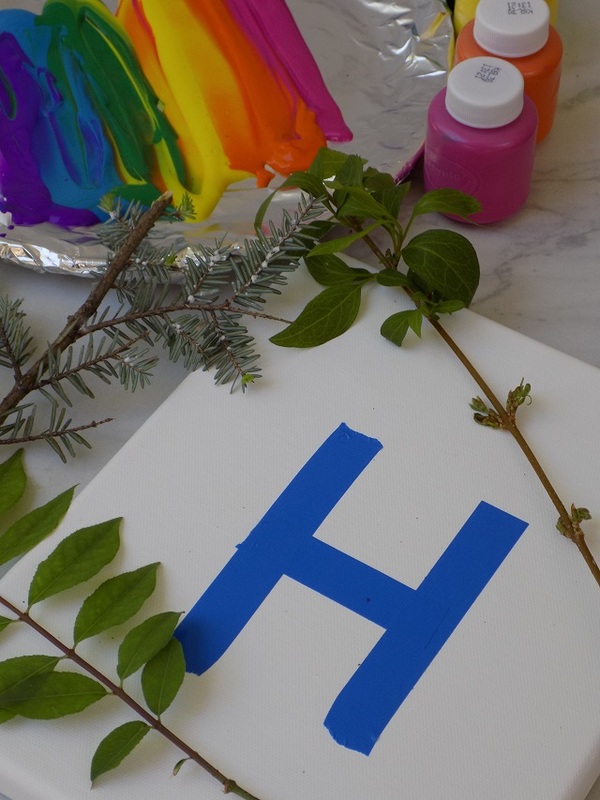 One Savvy Mom ™ | NYC Area Mom Blog: DIY Nature Paint Brushes + Tape Resist Painting Craft - A Fun Lesson In Textures That Toddlers LOVE! 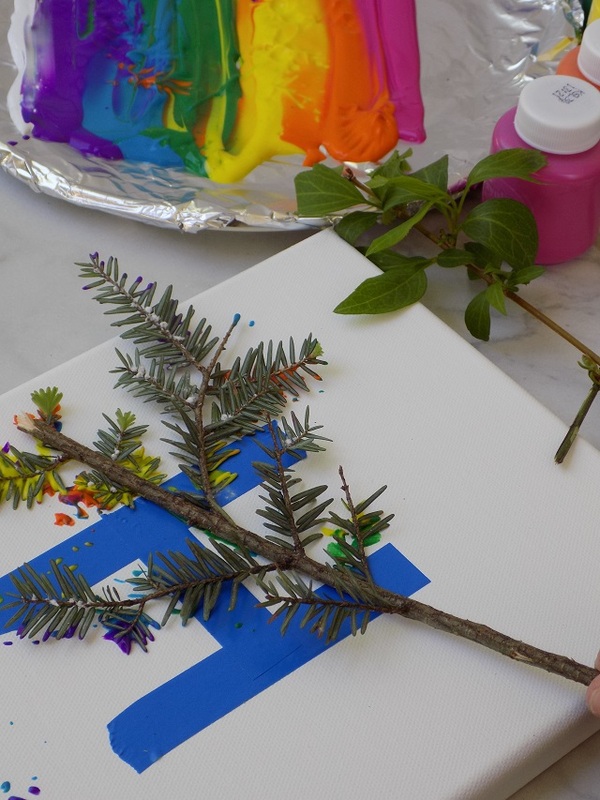 DIY Nature Paint Brushes + Tape Resist Painting Craft - A Fun Lesson In Textures That Toddlers LOVE! Spring has finally sprung, and my toddler couldn't be any happier about it! He is a true outdoors man, and he adores exploring all things nature related. 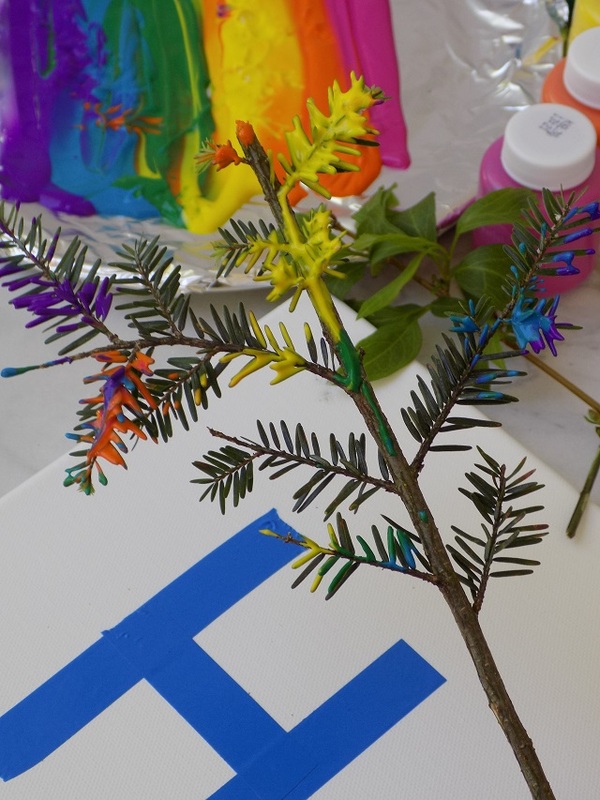 He also happens to be a big fan of painting, so we combined the his two loves yesterday afternoon, with this fun DIY nature paint brushes and tape resist painting craft. This is such a super simple lesson in textures that toddlers absolutely LOVE! These nature paintbrushes are tree / bush clippings, with some of the needles/leaves removed at the base of the branch clippings to create a "brush handle." 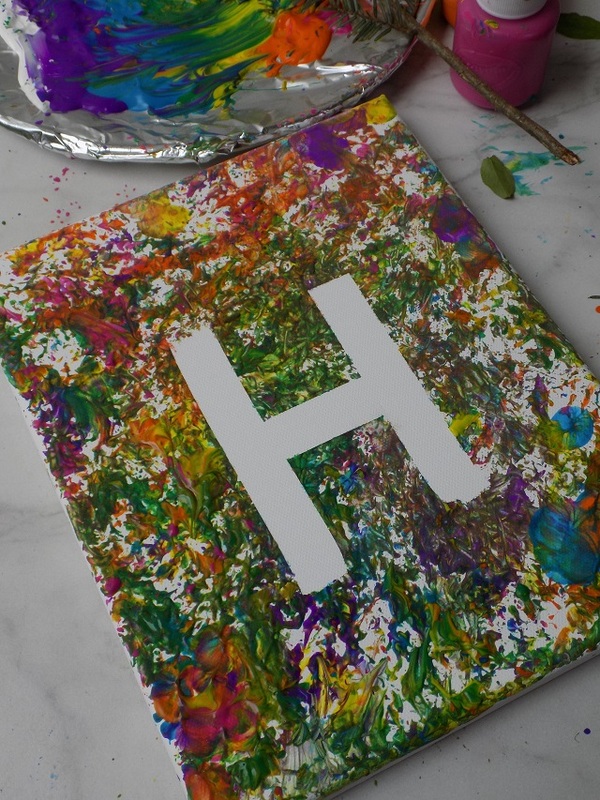 We used them with non-toxic kids paints to make a tape resist initial canvas. It was the perfect way to celebrate the return of sunshine, and the budding leaves, trees and flowers. We're totally ready for Summer around here; I literally can't wait! 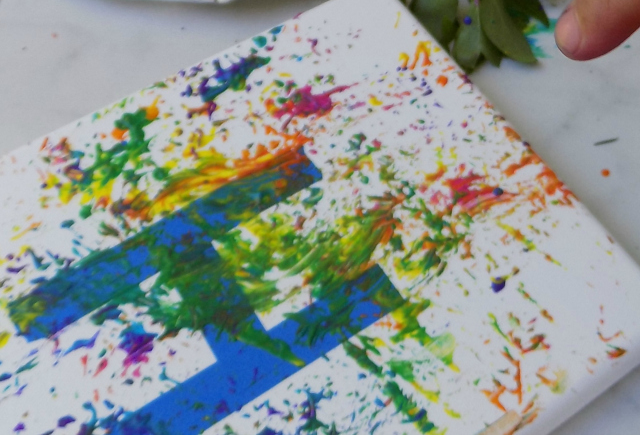 Read on for the simple supply list and image tutorial on how to create these nature paint brushes and tape resist canvas paintings, with your toddler. Prep your canvas or poster board by taping out your desired initial ( you can also use shape stickers etc. if you prefer). Make sure that the tape/stickers is pressed firmly to the canvas/poster board so that paint can't get under it on the edges. Dip the "nature paint brush" in the paint (making sure that the needles / leaves are evenly coated. 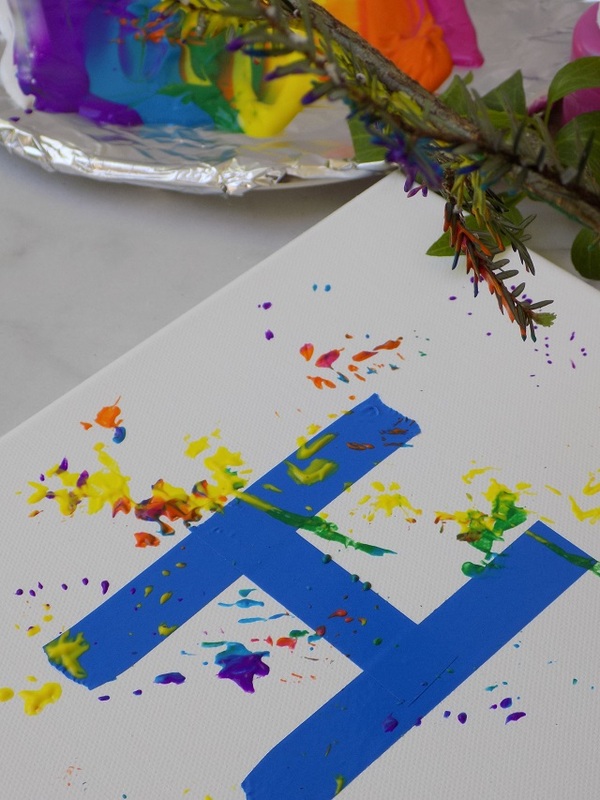 Remove painters tape/stickers to reveal your initial/shapes.